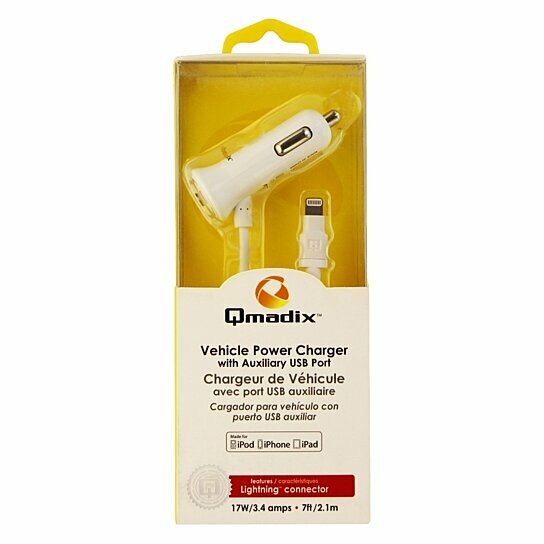 Qmadix products, 17Watt - 3.4Amp Coiled Car Charger with Lightning Connector and Extra USB Port. All white finish. Smart circuitry protects your device from over charging. About 2 Ft when coiled up and stretches up to 7 Ft. Designed to work with virtually all cases.